Opatija is nestled in a sheltered position under the Ucka Mountain on the Gulf of Kvarner, and its temperate climate makes it a popular destination all year round. The best places to stay in Opatija are great for sightseeing, relaxing and generally taking time out. The town traces its history back to Illyrian times, and patrician Romans built villas here. More recently, the advent of the railway made the area accessible to tourists from the late 19th century. This led to the development of the town as a fashionable resort, which drew the crème de la crème of Austro- Hungarian society (Gustav Mahler loved this place and was a frequent visitor). The Union Yacht Club dates from this era (1887) and was the first sailing club on the Adriatic. Opatija has also always been renowned for its vibrant nightlife; bars, restaurants, clubs and casino. So there's no shortage of activities both day and night! Visit the 14th century Benedictine Abbey in St. James Park. Or, head over to the Park Angiolina gardens and marvel at their plant species from all across the globe. There is also the wonderful ‘Promenade Lungomare’, a 12 kilometre walk along the Riviera from Voloska to Lovran. Alternatively, you can simply enjoy the beach and try windsurfing, diving and sailing. If you're visiting in July and August you'll need to plan well ahead if you want to book one of the best places to stay in Opatija. Alternatively come in the off season, when the weather's still good, but the masses have gone. 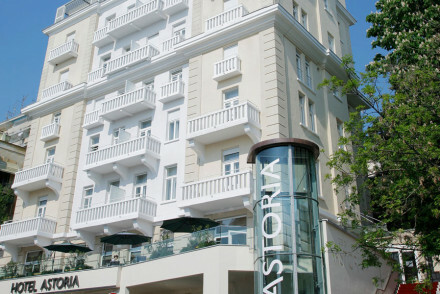 Design Hotel Astoria, originally Villa Louise, was built in 1904 in classic ‘Belle Epoque’ style. It has now been refurbished with a bright, cool, contemporary look. The hotel boasts a chic bar, exquisite Mediterranean cuisine and a refreshing spa. The historic old town is on the doorstep! If you'd rather the privacy of a self-catering option then browse through the wide variety available with our partner, Booking.com. Peak season, from May to September, brings with it the best weather - July and August experience average temperatures of 25°C. That said, these months are when Opatija is at its busiest and so expect to pay more for accommodation. If you want to enjoy the weather but avoid the crowds then May, June and September are the best months to visit. You can fly into Rijeka Airport, located 45km away from Opatija. From the airport, you can easily hop on the bus to Opatija which takes around an hour. Croatia Airlines fly direct from Heathrow to Rijeka, with the journey taking around 2 hours 15 minutes. 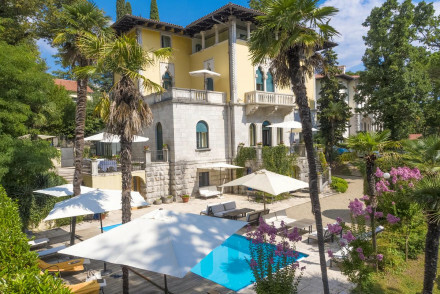 Browse through our list of all the best places to stay in Opatija. Alternatively, widen your search and check out all our recommendations in Croatia. A modern and lively hotel on the Croatian Riviera. Large minimal rooms and suites with private balconies, all the mod cons, and sleek lines. 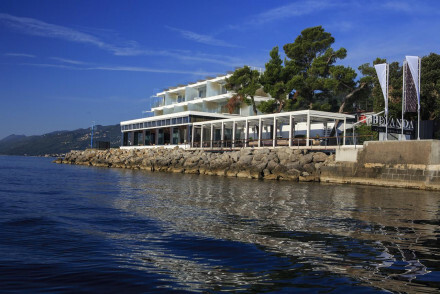 Excellent terrace restaurant, lively bar, wellness spa around the corner, and stunning views out to sea. Romantic, family friendly, beachy. Spa - A nearby Thalasso Wellness Center with lots of spa treatments on offer. Sights nearby - "Emperor Francis Joseph” seaside promenade. This pretty, family-run villa in Volosko boasts panoramic views over Kvarner Bay. The best of the modern suites offer terraces with sea views. Relax by the pool or in the uber modern spa. Guests love the hotel's fresh seafood restaurant, serving traditional Istrian dishes. A charming seaside hotel. 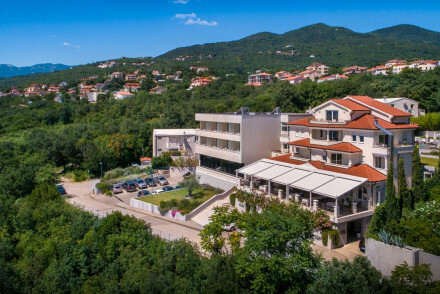 A historic spa hotel located in a secluded area in the town of Lovran. Interiors are classic and elegant, showcasing the building's original features. The wellness centre offers yoga classes and innovative spa treatments and there's a stunning outdoor pool. There's a superb authentic restaurant too. A superb 5-star hotel boasting contemporary design. Deluxe rooms feature modern artworks and smart minimalist style. The impressive restaurant serves fresh, local cuisine in a modern setting. Promising a relaxed stay, this property provides a spa, pool and panoramic sea-views. 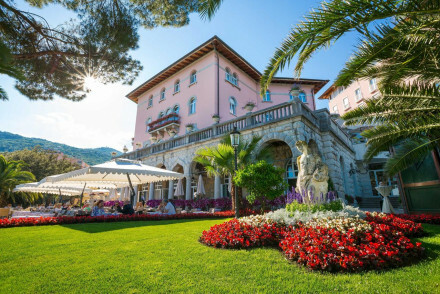 A Hapsburg-era luxury hotel with landscaped gardens and terraces offering romantic sea views. Interiors are grand yet bright balancing classical and contemporary styles, and fresh rooms vary from pared back modern-chic to opulent. Prepare to be delighted by the stellar cuisine and indulgent spa! 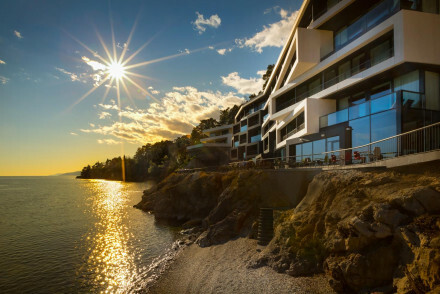 A beautiful, five-star design hotel on the Adriatic coast. The individually styled rooms are named after famous guests from the hotel's history; the best of the elegant, modern suites offer spacious terraces with sea views. Dine in the luxurious seafront restaurant at this exclusive Opatijan hotel.